Single-fold ramps are lightweight, portable ramps with non-skid surfaces that collapse for easy storage and transport. If you're a power wheelchair or mobility scooter user who's constantly on the go, these ramps can be an invaluable asset for your day-to-day living. Signature Series ramps have full length hinges, comfortable grips, and bottom transition plates. EZ-Access ramps feature removable hinge pins for maximum portability. EZ-Access ramps are strong and lightweight, with non-skid surfaces and carrying handles. EZ-Access ramps fold lengthwise for easy storage and transport. 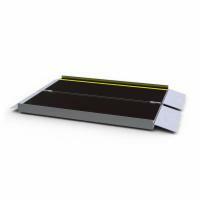 EZ-Access ramps fold lengthwise and are equipped with carrying handles for user ease. 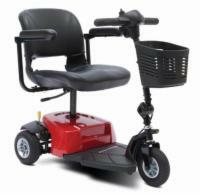 EZ-Access ramps are strong and lightweight. Pick a length that suits your needs.